Alegria Flower Shop, Cebu - The local florists in Alegria deliver fresh, high quality and premium flowers all across Alegria. Cebuflower.com has established wide network of reliable local flower shops owned by local florists across Alegria in Cebu. Expert local florists in Alegria deliver fresh flowers, florists designed and florists arranged flower arrangements through local flower shops in Alegria, Cebu for all special occasions like Birthday, Anniversary, Wedding, Valentines, Mothers day, Fathers day, Get Well Soon, New Born, Congratulations,Sympathy & Funeral. 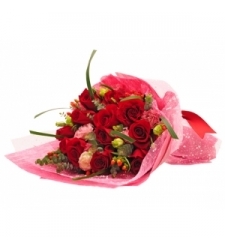 Our Alegria master florists take special care of all your flower orders to be delivered fast, on time, next day or two days, at the doorsteps of your beloved.